And receive the first $25.00 worth of calls free. We can recommend the best for the region/s you are traveling to. Why buy a satellite phone when you can hire a satellite phone . 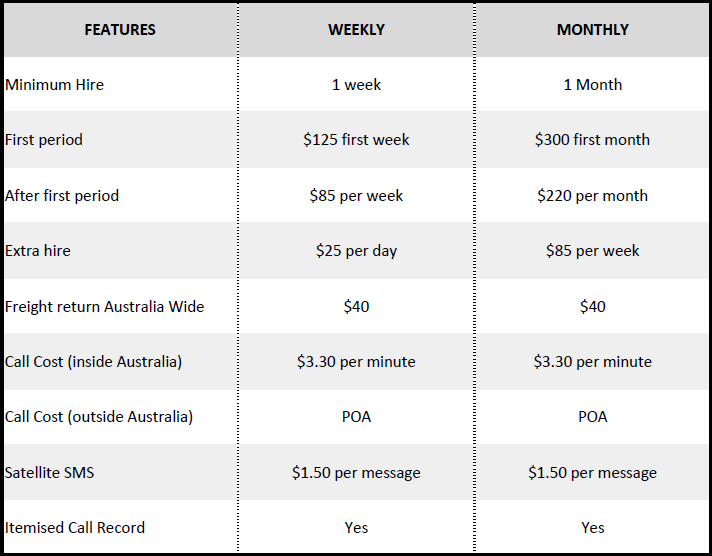 Real Mobile Numbers, Great Call Rates, Australian Call Centre are just some of the services Pivotel offers. TracerTrak offers remote worker and remote asset solutions.